The preparations are almost done! Festival details should start to appear on the website by the 1st September, so that you can start planning, with registrations open in the morning of Friday 8th September. The Deni Uke Muster Committee are hard at work planning the festival for 2017. Details will be sent out in the next month with registrations opening at the start of September. REGISTRATION FOR THE DENI UKE MUSTER IS NOW OPEN! The 2016 Deni Uke Muster will be held on Friday 18th, Saturday 19th and Sunday 20th November. The committee will be getting together soon to make plans so watch this space for more information. What a fantastic weekend! Thank you so much to everyone who made it to the 2015 festival, it was great to catch up with people and meet some new ukers. Friday 11th, Saturday 12th and Sunday 13th November 2016. At this time, the dates don't appear to clash with any other festivals so get them into your calendars! We will be in touch in the new year with further info. Best wishes for a fantastic holiday season and wonderful summer. NO MORE SLEEPS - it's finally here! The 3rd Deni Uke Muster is finally here, kicking off this evening with the 'Open Uke Night' at the festival HQ (The Deni Club). Looking forward to welcoming friends old and new for a great weekend of making music. Please note: Registrations are now officially closed. However, you are welcome to join us for the Saturday night dinner concert, starting at 6:30pm at The Crossing Cafe. PLEASE PHONE THE CROSSING for bookings: 03 5881 7827. Wow, November already! Only 3 weeks left until our third festival. One more week to register as a participant. A few of the workshops are now full and some of the others are coming close. It looks like it's going to be another fantastic weekend of making music and friendships. See you all in Deni very soon! We are very excited to see this years registrations coming in - looking forward to catching up with old friends and welcoming new ones! Some of the workshops are filling up fast so make sure you get in quickly to end up in your preferred choices. REGISTRATION for the 2015 festival IS NOW OPEn! Head to the registration page and download the registration form. Information on the different workshops can be found in the workshop info document or on the 2015 festival page where you can read more about our amazing presenters. Don't forget workshop allocation is on a first come, first served basis! The registration form and workshop info will be available to download on the website this Sunday, 6th September. Head to the 2015 festival page to check out our amazing workshop presenters. The 2015 Deni Uke Festival will be held on Friday 20th, Saturday 21st and Sunday 22nd November. The committee is currently hard at work organising this year's event and we have booked some exciting presenters for the workshops. Details will be finalised in the coming weeks however we can tell you that Peter Gavin and a few of the members of Ukulele Circus will be returning, along with the renowned AJ Leonard. Save the dates, tell your friends and watch this space! Wow, we can't believe the second festival is only a few days away! We're very excited to see you all this weekend - come and check in at the Festival headquarters (the Deni Club) on Friday evening and enjoy a fantastic open uke night. Everyone is very welcome to perform - to get on the playlist, look for Neville (the man in the bowtie). For those arriving later, the club will be open on Saturday morning for you to pick up your welcome packs. Looking forward to another fantastic weekend of fun, music and catching up with old friends and making new ones. WORKSHOPS ARE FILLING UP FAST - HAVE YOU REGISTERED YET? So far we've had heaps of registrations and the workshop spaces are filling up fast. Make sure you register for the festival ASAP to ensure you get into the workshops you want to do. The festival is just over 5 weeks away and we're counting down the days until we take over the town - come join in the fun! THE UKE MUSTER ROCK THE UTE MUSTER! and entertained the crowds and cowboys with flash mobs. professional uke players, evening concerts, jam sessions and of course, flash mobs! Registration for the 2014 festival is now open. Click on the Registration page and download the PDF form. Instructions for completion and payment are on the page with the form. For those ukers who came last year, the registration process is the same - nice and simple! Information on the presenters can be found on the 2014 festival page. If you have any questions or comments, please enter them into the section at the bottom of the registration page and we will get back to you as soon as possible. The price of a festival ticket it: $115 per participant ($55 for non participating partners or guests). We're very excited about this year's lineup - we have some amazing presenters and can't wait to see you all in November! The presenters for the 2014 festival have been confirmed and the program and registration form will be released in the coming weeks. We have an exciting line up this year and look forward to welcoming some new and familiar faces in November. The 2014 Deni Uke Muster! The committee has assembled and plans are well under way for the 2014 Deni ukulele festival. We plan on building on last year's innaugural event to make it even more of a success, spreading the joy of the humble little uke! The dates for this years festival are Friday 21st to Sunday 23rd November. As soon as we have the draft program ready we will be opening registrations. This should be sometime in September. WATCH THIS SPACE for more festival news. 2014 has been a busy year so far for the Uke Muster. We recently opened the Deni Blues and Roots festival, performing alongside sensational international acts such as John Mayer, Michael Franti and Edward Sharpe & the Magnetic Zeros as well as home grown Aussie talent such as Cash Savage & the Last Drinks. During the festival we even made it onto the Today show! We have a lot to look forward to this year: local gigs, the Deni Ute Muster over Labour day weekend and our second uke festival in November. More news to follow soon! We hope you're all having a wonderful busy time in the lead up to the summer holidays. Come and hear us play Carols in the park on Sunday 15th December Waring Gardens, Deniliquin. To everyone who made the first Deni Uke Muster such a success. The committee has been collating the evaluation forms and taking on board all the great suggestions for next year's festival. The dates have been set: 14th, 15th & 16th November 2014 so we hope to see you all there! Information will be provided in the new year. Are you getting excited about the inaugural Deni Uke Muster? We are! There are close to 80 participants in the workshops and over 100 people attending the dinner concert on Saturday. We're looking forward to meeting people from all over Australia who share our love for the ukulele. ONLY 3 MORE DAYS TO GO! We are now on the final countdown to the inaugural Deniliquin Uke Muster festival which kicks off on Friday evening with a jam session at the Deni club. We're looking forward to meeting all the participants, learning some new skills and most importantly - having fun! 1. Ukulele maintenance has been cancelled. 2. Ukeology of the North East has been moved to Sunday morning - open for anyone who would like to attend. Looking forward to welcoming our fellow ukulele lovers to Deni this weekend! 'Old School' is being run by Ukulele Carnivale and has been re-named to: ' Ukulele Heyday'. Susan Russel and Narelle Jolley will be looking at ukulele in the 1920's & focusing on learning Ukulele Lady. Participants would need to be of an intermediate level. REGISTRATION CLOSING DATE HAS BEEN EXTENDED! The cut off date for registration has been extended to Saturday 9th November - only 10 more days to register and choose your workshops! 'Old School’ will now be presented by Ukulele Carnivale in session 1. There will now only be one session of ‘Songwriters of a certain age’ during the afternoon (session 3). This workshop is being replaced by 'Strumming Outside the Box' with Bill Plant. Bill and his wife started Wangukes years ago. They have written two books and conducted many workshops for hundreds of people at ukulele festivals. This workshop will show you how to get out of those repetitive strum patterns that murder a good song! Aimed at intermediate level. ‘Ukulele Maintenance’ with Chris Bodey is a new session. Chris will explain how to look after your uke, in particular adjusting the bridge, looking after the neck and restringing. All levels welcome. ‘Ukeology of the North East’ with Wangaratta Uke Group is a new session. Members of the Wangaratta Ukulele Band recently produced a CD of old and original songs pertaining to North East Victoria. They are happy to share their experience with you in an informal discussion group – with some playing, of course. Aimed at Intermediate level. ‘Ukulele 101’ is for beginners over the age of 12 or for younger children if accompanied by a participating parent. 'Ukulele 201' has been cancelled. THE DENI UKE MUSTER IS PERFORMING AT THE DENI UTE MUSTER! There has been quite a bit of excitement at the Deni Uke muster HQ this week, as we prepare for our biggest gig yet - at the world famous Deni Ute Muster! We will be performing live on the day stage at 9:45am on Friday 4th October and 10:45am on Saturday 5th October. If you're coming to the muster come and sing along or visit us at our stall in the day stage area (in between the wood chopping and camp quality), where we will be promoting all things uke. You might even catch up us flashmobbing around the site. Renee Searles is sadly unavailable to attend the uke muster, however the fabulous Sarah Carroll - The Ukulele Queen of the Bellarine - will be presenting 'The Art of Performing' workshop. The presenter for 'Old School' is TBA. We are working on the possibility of adding new workshops so keep an eye on our website in the next 2 weeks - we will announce any additions or changes here! Don't forget, we are filling workshops on a first come first served basis so register soon to make sure you get your first choice. REGISTRATIONS FOR THE INAUGURAL DENI UKE MUSTER ARE NOW OPEN! We're very excited - the registration form, which includes information on the workshop sessions, is now live. A full program will be available on this website in the coming weeks however if you have any questions or comments in the meantime, please feel free to contact us via the registration page. Registration for the 2013 Deni Uke Muster will start next week. We are in the process of finalising the details of the workshops available. The registration form will be available from Monday 2nd September. Please visit the 'registration' tab for further information. 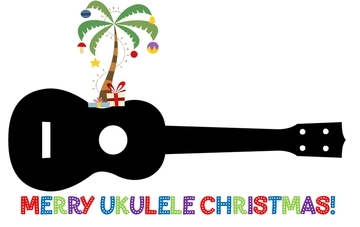 We've had quite a bit of interest already and are really looking forward to receiving our first registrations - don't forget, as soon as you register you will be entered into the draw to win the Maton ukulele! AMAZING announcement - you could win a Maton blackwood concert model ukulele worth $649 (RRP). All you have to do is register for the Deni Uke Muster and you will be entered into the draw. The winner will be announced during the festival. "The Maton ukulele is the result of combining the best of traditional ukulele design with 21st century production techniques. 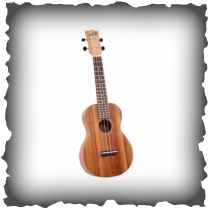 This instrument draws on Maton’s extensive background in the use and fine tuning of Australian tonewoods to produce a tone which is rich, full and intriguing, and which evokes the timeless sounds of the classic Hawaiian ukuleles of time gone by."